An American MGB Association Queen B is the ’63 B of Dennis and Nannette Bakko. As an Air Force pilot in 1972, I was assigned to a flying squadron over in the United Kingdom. My wife and I spent 5 years at RAF Alconbury, a U.S. Air Base about 60 miles north of London. As time went by, I became more and more interested in British motorcars. 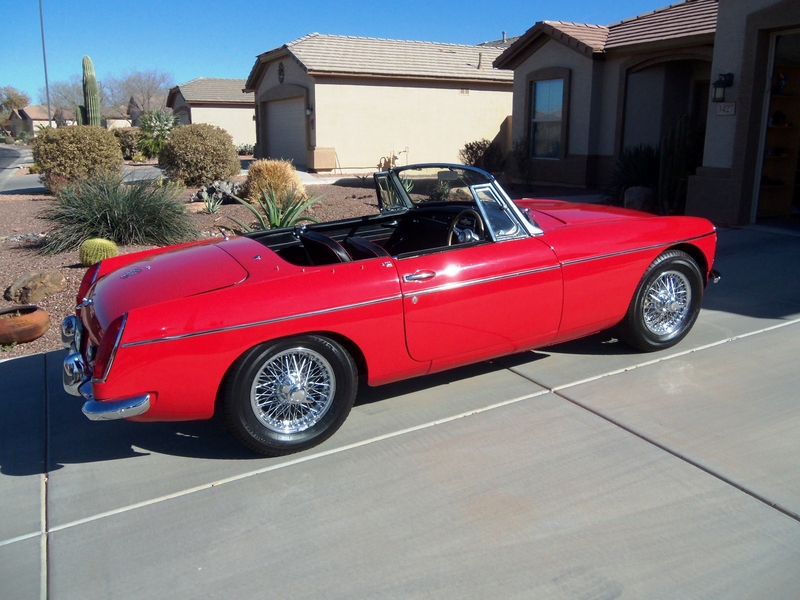 I decided to look for an MGB and bring it back to the United States. In July 1975, I purchased this 1963 MGB for 200 British pounds (about 400 dollars) in Cheshunt, Hertfordshire, a town on the outskirts of Northeast London. The car was not in very good shape. It had already been painted twice and the floor boards were rusting. We then brought the car back with us to North Dakota in 1977. 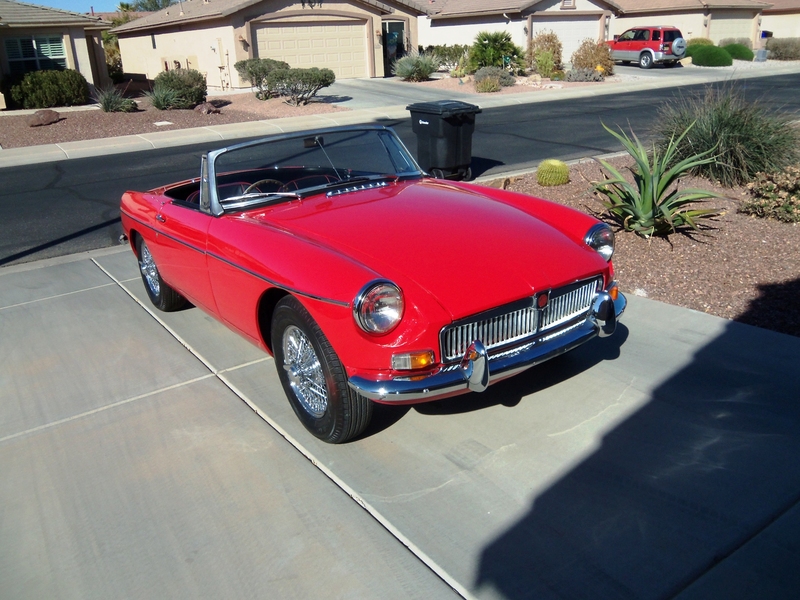 I drove the MG two or three times a year for the next 35 years hoping to restore it someday. 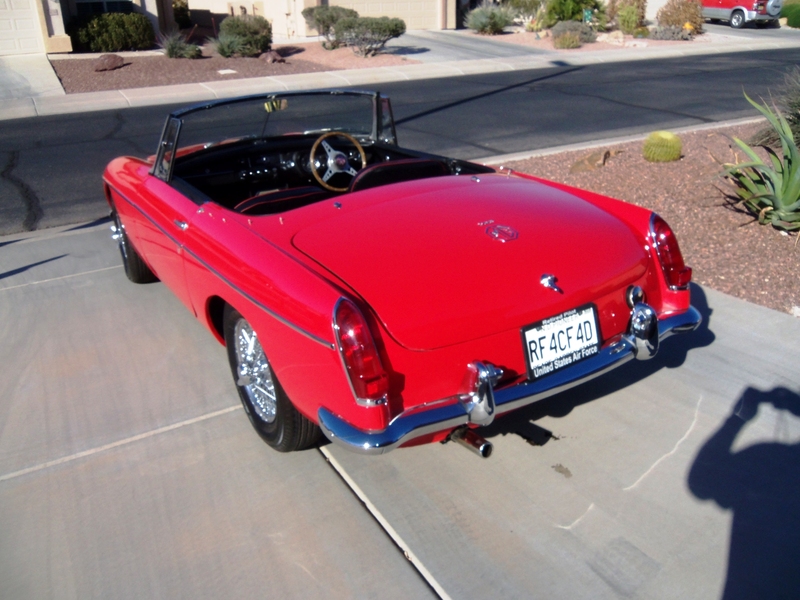 Finally in 2012, we had it fully restored by an MG shop in Arizona. We now drive it quite a lot while wintering in Arizona. We didn’t even buy a new top for it because the sun shines almost every day. 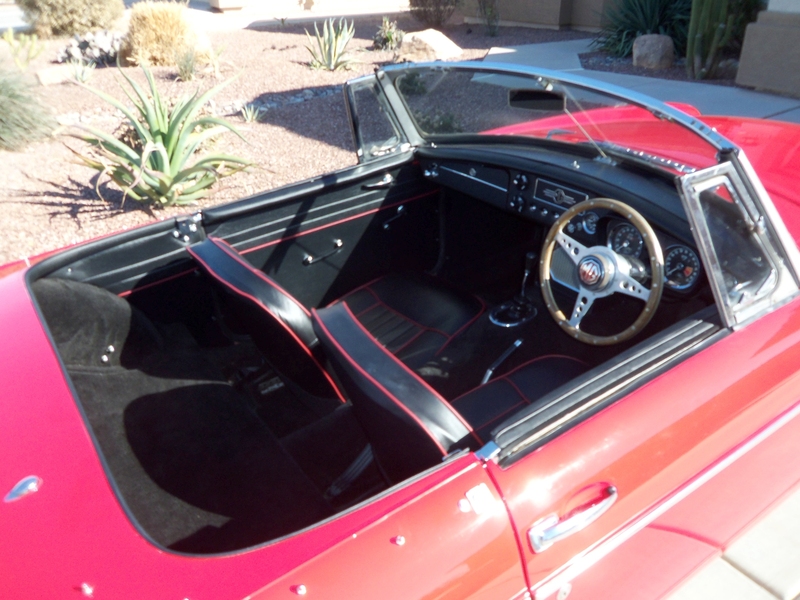 The reaction we get from people to the red right-hand drive MGB has been amazing. By the way, the red paint we used is actually a Ferrari color.